The transportation industry is arguably undergoing the biggest transition since the advent of the internal combustion engine. This is particularly evident when you look at consumer behavior: a growing group of people is no longer buying cars, they're buying miles, or perhaps more accurately, arrivals. In 2017 alone, Goldman Sachs reported that 15 million ride-hailing trips were taken per day around the world. By some accounts, this number has already nearly doubled in 2018, principally due to demand in China. Entrepreneurs and investors have been flocking to the sector. According to Crunchbase, nearly six thousand new mobility startups were founded over the past 5 years. The autonomous, electric future is on the horizon. The Boston Consulting Group forecasts that, by 2030, around a quarter of all miles driven in the US will be in shared autonomous electric vehicles. While all of this innovation is exciting, much of the usage is happening in siloed apps. This is at odds with the stated goal of many companies to provide the mass market with a seamless mobility experience. It seems unlikely that any one company can deliver all of the best transport options to every user all of the time within their walled garden. On-the-fly integration of supply across providers is increasingly necessary to deliver on the promise of seamless mobility. Recently, we've seen more and more players in a variety of industries integrate mobility services to differentiate their offering. Starting with Didi in China, ride-hail companies are effectively cannibalizing their short trips by reselling or acquiring bike-share supply. This looks a lot like the online travel agent model of reselling flights, rail and car rentals. As interesting, if less publicized, is the trend of non-transportation companies integrating mobility services into their offering. Witness the bank JPMorgan Chase using Chariot to provide its employees with a more productive commute. Integrating these kinds of shared transportation modes also saves companies the significant expense of providing parking for their workers. In another example, Lyft announced a deal with Allscripts for non-emergency medical transport to help patients get to appointments on time. Essentially healthcare providers are using mobility as a cost of acquisition for a much more valuable service called a medical appointment. And not to be outdone, city agencies are also starting to require integration of mobility services. Last year the city of Seattle shut down its municipal docked bike-share system in favor of multiple competing dockless bike-share operators. As a condition of receiving an operating license, the dockless bike-share operators are required to integrate data about the usage of their fleet into a neutral data exchange administered by the University of Washington. Among other things, this approach enables the city to monitor the number and placement of bicycles in the city and ensure that piles of bikes don't clog up sidewalks, a common problem in China. A similar approach is likely in other cities facing an influx of shared bikes, scooters and other vehicles. While some cities and companies are starting to understand the value of integrating mobility services, others have not. Ultimately transportation is a means to an end. It's about getting a person or a good to a place. Cities and companies that can't use mobility to make their locations more accessible will fall behind. A recent extreme example of this is the extension of the 7 subway line in New York City to make the massive 10 Hudson Yards real estate development viable. At the other end of the spectrum, local merchants have been offering paper-based parking validation for decades as an incentive for customers to visit their location. Imagine mobility validation as next generation parking validation. 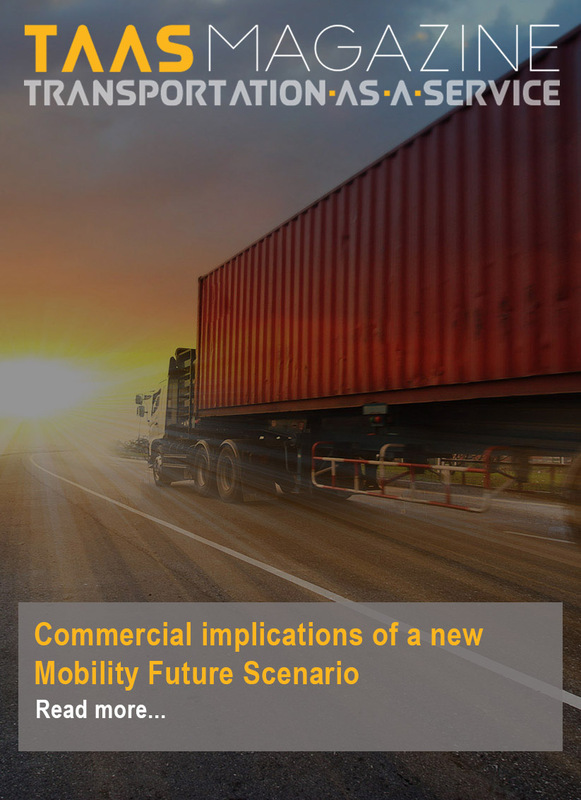 Ultimately the shift occurring in the transportation industry will impact not only that industry but all of the economy that depends heavily on the accessibility of location. This shift affects students, patients, workers and even home shoppers and fans of take-out. The mission of making seamless mobility available to everyone or, put differently, democratizing access to locations depends on several emerging concepts in urban transportation. The first is the idea of trip bundles. We do this every day when we book long distance travel that includes multiple airlines and perhaps also a hotel stay or car rental. In cities, people are starting to hack together trip bundles using multiple modes, payment methods and apps and essentially acting as their own travel agent. There must be a better way. A recent survey by transit ticketing company Masabi suggests that 35% of people take shared mobility options to reach fixed transit at least occasionally. In many cities the most common origin and destinations for bike-share trips are transit stations. As trip bundles become better supported, the next logical step is to buy the trip from a single point of sale. Why put up with the hassle of buying different trip segments from different providers if you can buy a single trip bundle in one place? Just like the travel industry, it seems likely that consumers and enterprises will use a variety of merchants based on user interface, loyalty programs, prices, packaging, etc. It's probably not a coincidence that Uber's (relatively) new CEO and COO previously ran Expedia and Orbitz, respectively. These merchants and mobility distributors will increasingly use incentives and subsidies to compete. These dollars will likely come from enterprise and public sector transportation budgets that are starting to move online. This future will impact private and public sectors alike. For example, it will enable retailers to digitally incentivize potential customers to attend an annual sale and governments to seamlessly subsidize the trips of senior citizens. Ultimately, these budgets, coupled with the ability to purchase bundled trips online, have the power to make the destinations that people care about more accessible. That, in turn, makes cities more livable. Stephen Smyth is co-founder and CEO of Coord, the developer platform for the mobility market. The team at Coord is driven by a mission of making seamless mobility available to everyone. Coord is accelerating this outcome by empowering any software developer to integrate transport options for drivers and riders into smartphone apps, autonomous vehicles and every technology stack in between.